What a difference some cast changes make (no pun intended) – and also a little resculpting by a revival director. This John Caird production left me cold when it was first performed, gloomy lighting made it hard to see what on earth was going on and when you could there wasn’t too much worth looking at. There were some strong vocal performances but dramatically it was rather dull. Under revival director Caroline Chaney and a few cast changes this work comes to life and while the notion of Rodin sculptures (the Gates of Hell, the Thinker and The Kiss) still adds little to our appreciation of Mozart’s glorious dark comedy it is a more enjoyable experience. The pushing onto the stage of ingots of metal with human form sculpted into them just gets in the way and adds nothing to the work. I would just scrap them altogether.The idea of the Don’s descent to Hades is through these Gates of Hell is as clumsy as the actual denouement of this performance. Get the oil-can out guys and oil those hinges. From the very start this cast plays the two sides of this work, the funny and the vile, with plenty of chuckles alongside the violence (physical, emotional and sexual) in the sordid story of the Don and his insatiable lust and rejection redemption. Elizabeth Watts sings Donna Elvira and what a fabulous performance from the English soprano. She has also been a fine, clean and crisp singer and now the acting is finely tuned to bring out the nuances of the role, the angry, rejected, revenge-driven victim but also desperate to change her man and win his heart. 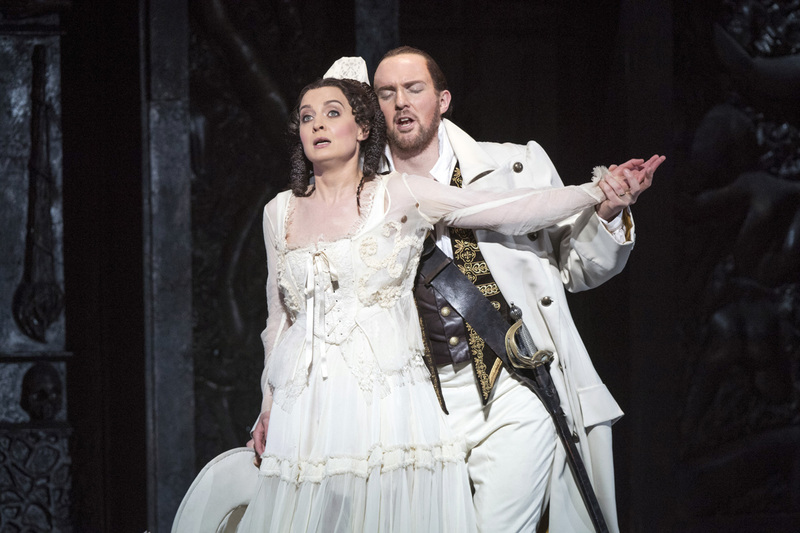 Making her debut, we had an elegant and vocally scintillating Donna Anna from Emily Birsan and her devoted if somewhat wet lover Don Ottavio sung by Benjamin Hulett with some lyrical beauty in his gentle arias. 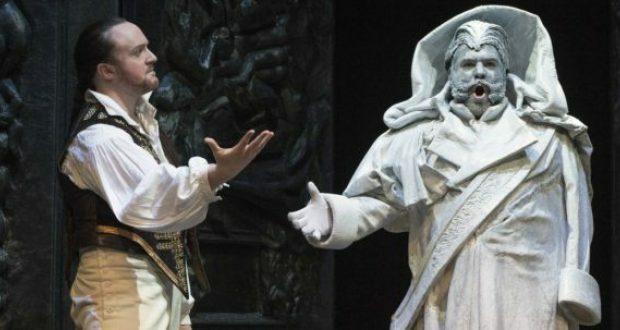 Nice strong singing from Miklόs Sebestyén as the Commendatore, who the Don has killed after trying to seduce his daughter, and as a statue accepts the philanderer to supper and then returns the favour by taking him to Hell. Sadly the climax scene which should be a real wow was just awful, made even mor e so by the dodgy door and seeing the Don scrambling away. 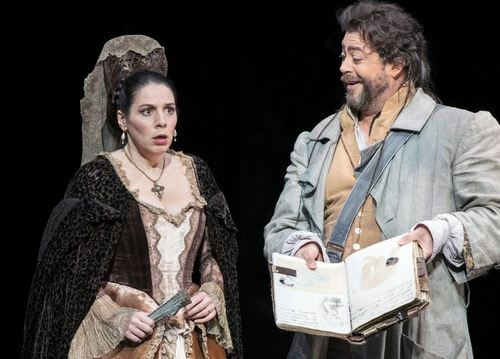 Katie Bray also gave a nicely rounded performance showing both sides of the peasant girl Zerlina whose suspect morality tempts he into Don Govanni’s snare but also plays her husband to be Masetto sung with lots of panache and spitting hatred from Gareth Brynmor John. 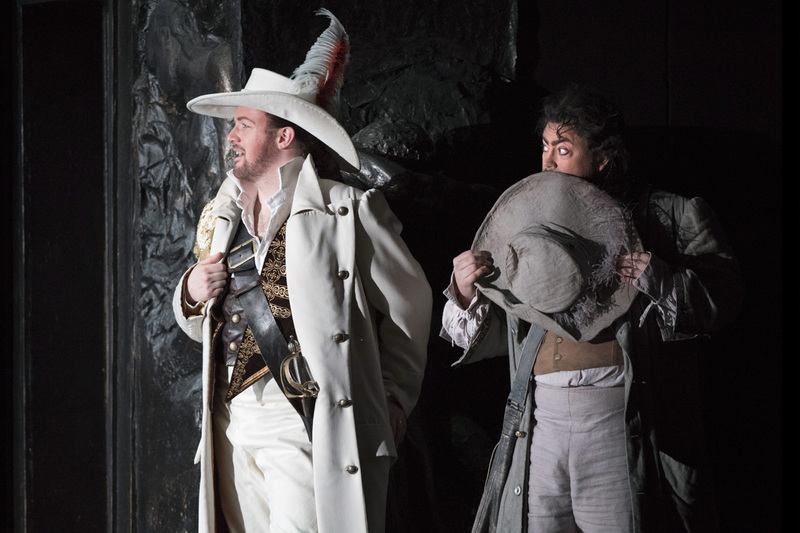 The whole evening is well harnessed with the paring of Irish tenor Gavin Ring as Don Giovanni and David Stout as Leporello. The two men work together skillfully, playing their roles with consummate artistry as gorgeous actor-singers. They both look the part, they act the part and sound wonderful with Mozart’s sparkling score. 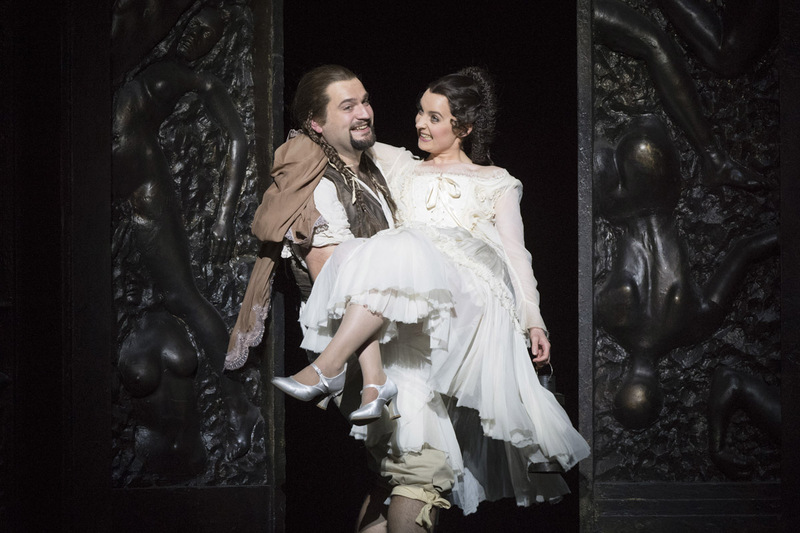 The Don sings with aristocratic flair and sweeps around the stage as a lithe and energetic roué. His servant is also full of energy and an eye for the ladies with a lovely balance between his angst at his place in society, his desire to be a gentleman and his own revelling in the guilty pleasures of sexual predation. Young conductor James Southall brought a rousing, fiery reading of the score.